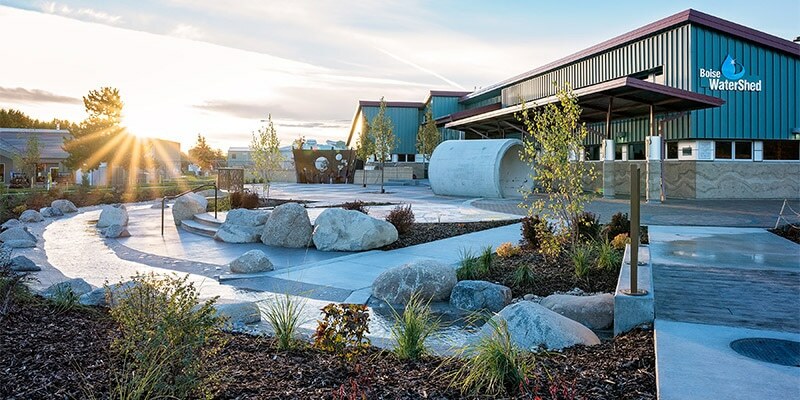 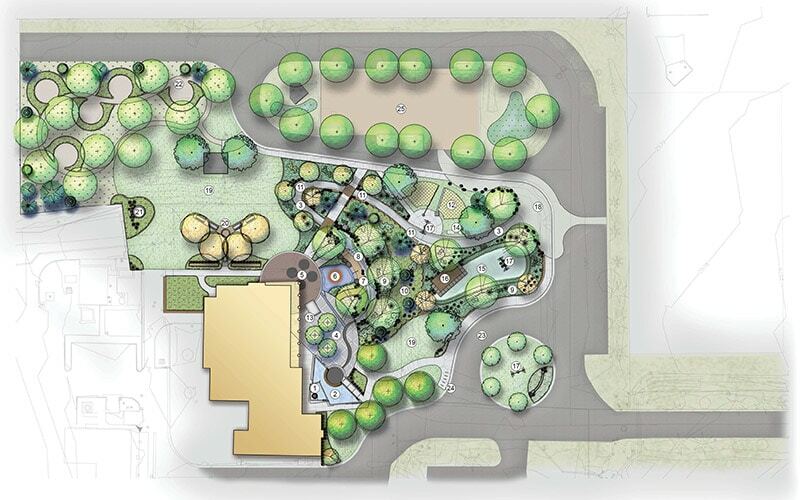 Envisioned in 2003, our firm developed a concept Master Plan for the then Boise Environmental Learning Center, adjacent to the West Boise Water Renewal Facility. 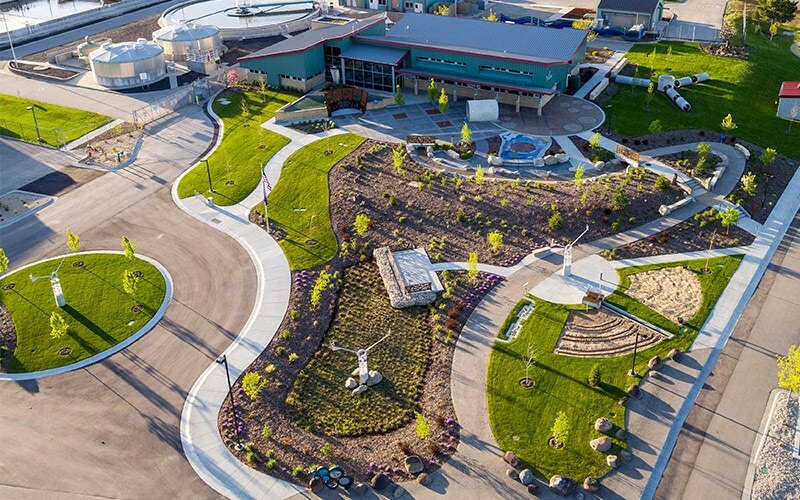 The Master Plan depicted an interactive experience of the Boise River watershed from the headwaters to its confluence with the Snake River, exhibiting where our water comes from, how it is utilized and reused, and why conservation is important to the future of the Treasure Valley. 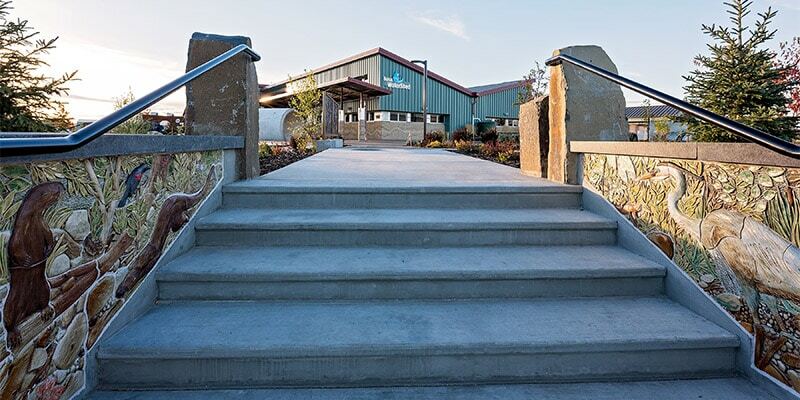 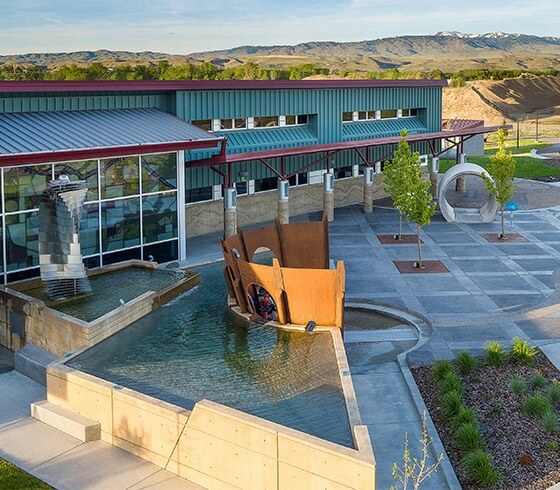 Used in conjunction with the Boise Watershed Education Center, the 2-acre Boise Watershed River Campus was built to allow for an outdoor learning experience. 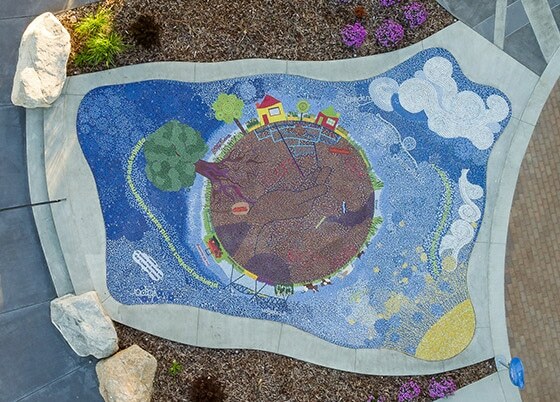 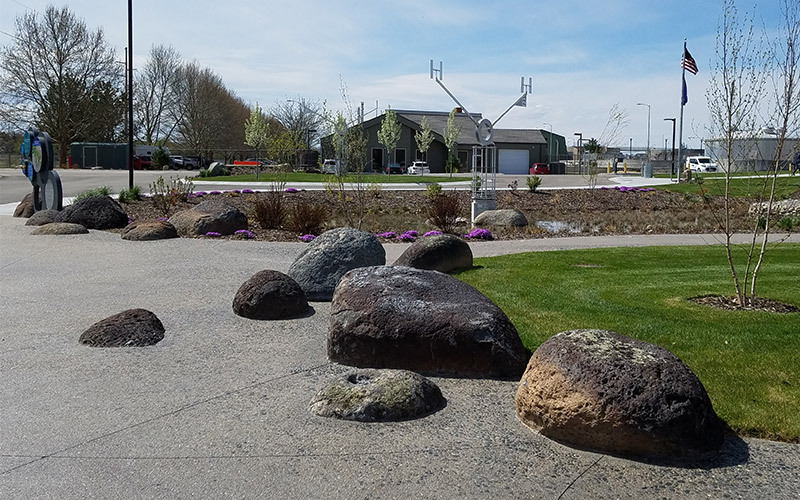 The Campus tells the story of the Boise River by incorporating interactive exhibits, water features, landscaping, and public art by 14 local artists, making it the single largest public art exhibit in the State of Idaho. 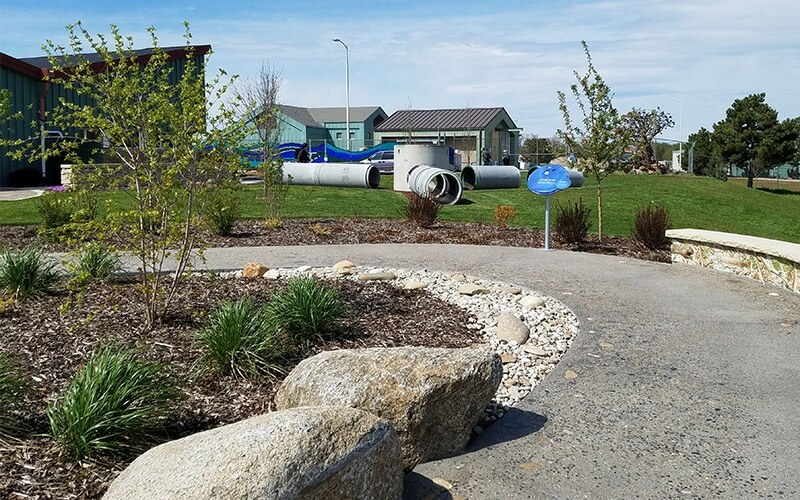 With an interactive water feature, seeded riverbed water play area, basalt rock columns, agricultural and wetland exhibits, and representative plant materials this unique jewel for Water Resource Education displays the diversity of landscape environments our water flows through in Idaho.